I was hoping you would be willing to write me a letter of recommendation. I (B)would like you(B) to write a (C)recommendation(C)(D). I (B)was hoping you would be willing(B) to write a (C)letter of recommendation(C)(D) for me. 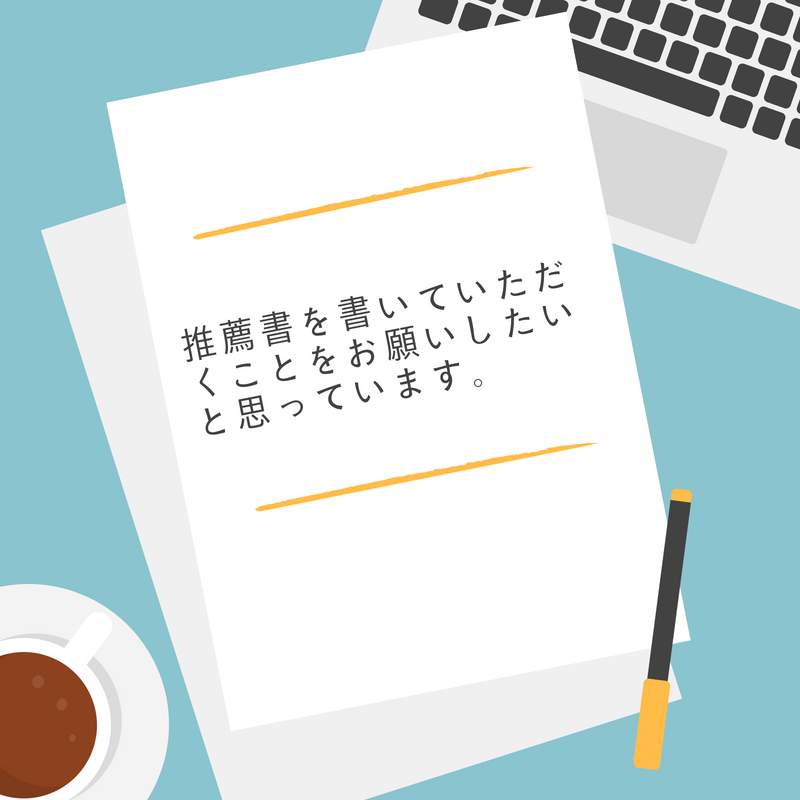 他にも、 I am writing to you in the hopes that you might be able to provide a recommendation letter for me.